Ven. 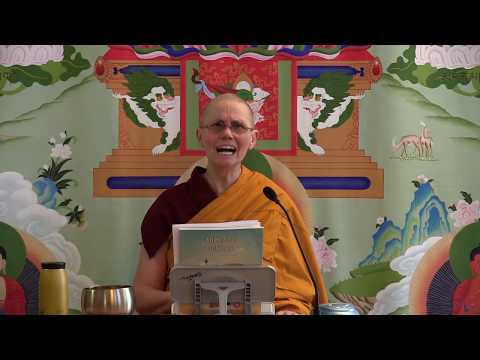 Thubten Chonyi is a nun in the Tibetan Buddhist tradition. She has studied with Sravasti Abbey founder and abbess Ven. Thubten Chodron since 1996. She lives and trains at the Abbey, where she received novice ordination in 2008. She took full ordination at Fo Guang Shan in Taiwan in 2011. Ven. Chonyi regularly teaches Buddhism and meditation at the Unitarian Universalist Church of Spokane and, occasionally, in other locations as well.